Inside: If you have ever wanted to learn how to make beef tongue tacos, you are in the right place. Keep reading to find out the proper way to make this Mexican delicacy. This is part of a sponsored collaboration with Rumba Meats. However, all opinions expressed are my own. In Mexico, there are many recipes that use the less commonly-consumed cuts of meat, such as beef tripe, beef tongue, oxtails, and cheek meat. Here in the United States, you won’t find these cuts on many menus, and the meat can be hard to find as well! Fortunately, you can easily order all of these types of meat from the comfort of your home from Rumba Meats. I recently purchased the variety pack from Rumba Meats, and it came with all of the cuts that I listed above. It was a really good deal for the amount of meat that came in the box, and it arrived in a very well packed box, and still frozen! 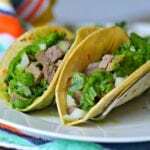 The meat is very high quality and will allow you to make this beef tongue tacos recipe and more. What Does Beef Tongue Taste Like? When people hear “beef tongue”, the most common reaction is that it must not taste good. However, once people give it a try, they usually enjoy it! 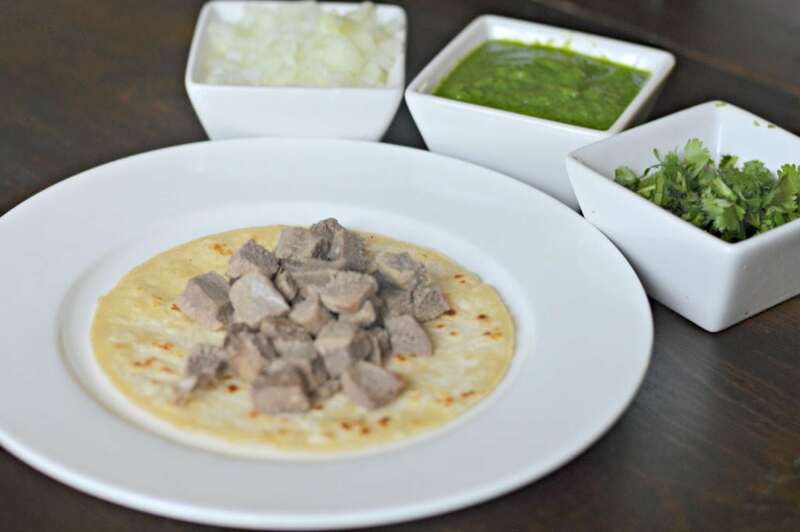 When cooked correctly, beef tongue is extremely tender and flavorful and is the perfect base for a delicious taco. In order to ensure that the beef tongue is tender, you have to prepare it carefully and cook it slowly. The end result will surprise you and you will understand why these tacos are so popular in Mexico. 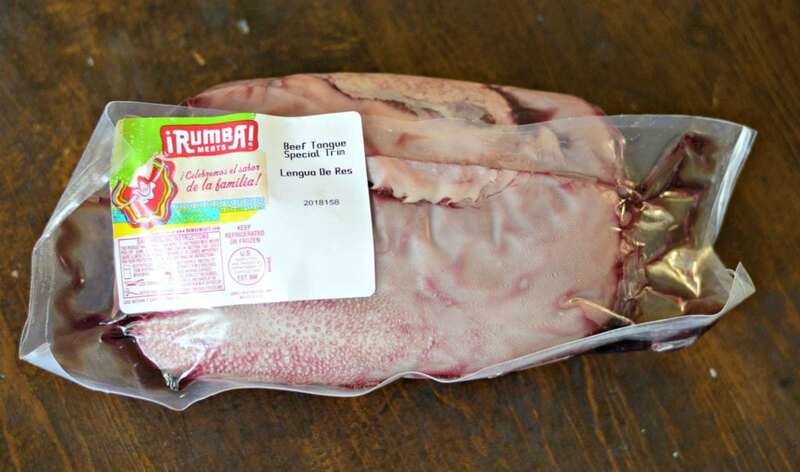 How Do You Cook Beef Tongue Properly? 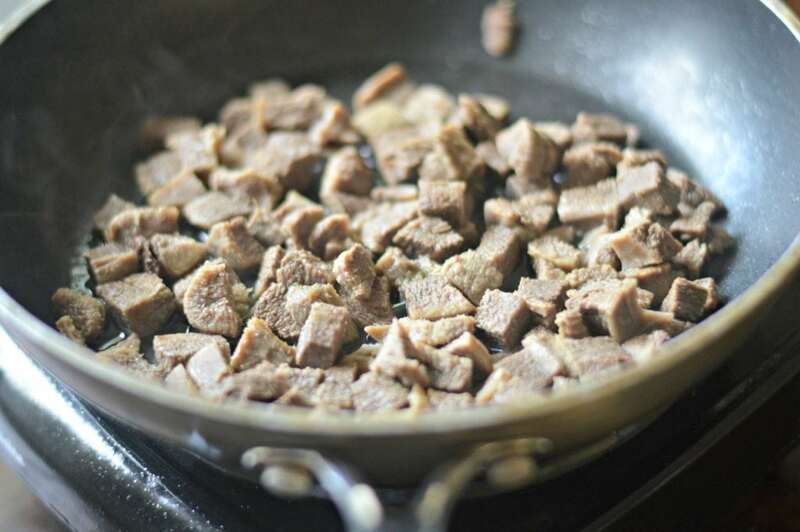 The first step to cooking Beef Tongue is to prepare it by washing it and removing any excess fat. Next, you will cook it in a large stockpot with boiling water and some fresh herbs, garlic and spices. Once the beef tongue is cooked according to the instructions above, you will be able to easily remove the outer layer of the tongue and get into the tender meat in the center. I always like to cut the beef tongue into small pieces, and then add it back to a frying pan with some oil and some of the broth that is leftover from cooking the meat. Finally, it is time to put together the tacos. This is a pretty straightforward process. First, take a corn tortilla and heat it in the microwave or over the stove. Next, add the shredded beef tongue and top with cilantro, diced onions, a spritz of lime juice, and a pinch of salt. The last step is to add a delicious salsa, like this salsa verde or this salsa roja. 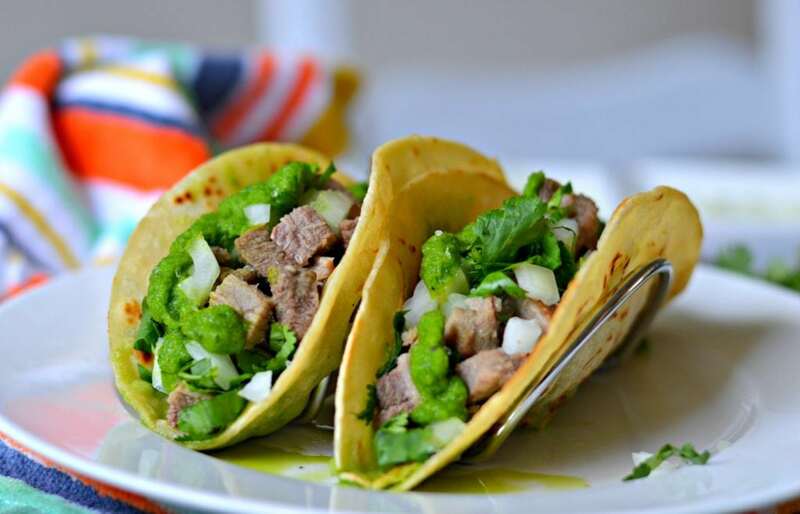 One taste of these beef tongue tacos and I am sure that you will be a fan. Make sure to come back and let me know how they turned out in the comments below. Don’t forget to check out Rumba Meats on Amazon here. 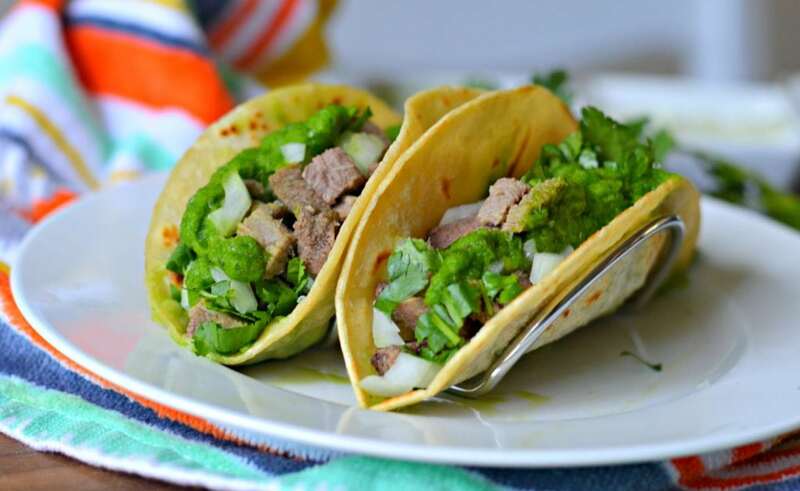 These beef tongue tacos, or tacos de lengua, are tender, flavorful, and very authentic.